We’ve found ourselves at that time of year again, when all there is to see on the movie channels are films like Elf and The Grinch. The winter season is moving in and the need to curl up in front of the fire with a cup of hot chocolate and a Christmas film has returned. When one thinks of Christmas, the idea of Santa, elves and reindeer is an automatic stereotype. Naturally, you’re going to watch a movie with these features to get you into that “Christmassy mood”, but there is one film that I consider to be a Christmas classic despite lacking all the stereotypical characters. 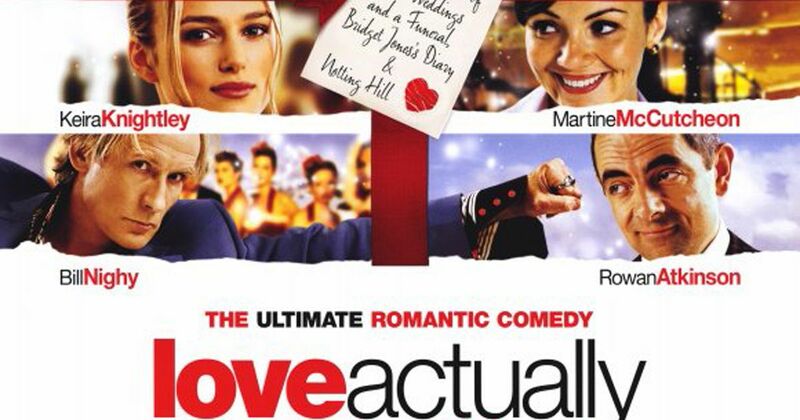 This movie miracle is Richard Curtis’ charming rom-com, Love Actually. Made in 2003, the film is set in London five weeks before Christmas and follows a number of different storylines and characters. This witty rom-com does not follow one concrete narrative, but many different ones and these are portrayed by a star-studded cast who give the film its charming quality. It seems as though Curtis went through a checklist of all the biggest British celebrities from Hugh Grant to Colin Firth, Emma Thompson to Alan Rickman, and that’s only to name a few. The charming cast along with the various storylines makes for a truly enjoyable watch. You must be asking yourself why I’m talking about a rom-com as if it were a Christmas-themed movie. The reason is, quite simply, this is not any ordinary rom-com. Yes, you have love interests and relationships, but as I mentioned it takes place in the run up to Christmas time. We see the rush and excitement in both households and places of work, yet along with the excitement there is a sense of boredom and repetition: the characters go through this each year and they are still going through their daily grind of school runs, work and so on in the meantime. This is where we see the characters shaking things up for themselves; some may be lead astray by certain temptations – a new lover, possibly? We see each one of the characters doing something in order to change up or make their life less monotonous. This, I suppose, is not what Christmas is about, realising that you have a very mundane life. It’s quite the opposite. Christmas is about realising what and who are important in life and celebrating this for the holidays. The characters do not change the entire structure of their lives, but rather return to where they’re supposed to be. They return home to their love ones, be it old, new or estranged. Here we have a rom-com that seems to fit perfectly into the Christmas movie genre, because it’s entirely about love. Whether it’s love for your family or your significant other, the romantic theme is thoroughly explored. 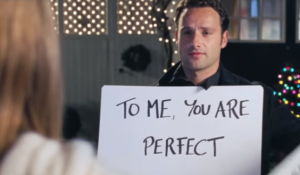 It’s a popular opinion that Christmas is a time for love, so why wouldn’t Love Actually fit in perfectly with the Christmas classics? Will it give you that warm, fuzzy feeling inside that’s associated with Christmas? Yes. Will it get you into the spirit of Christmas? Yes. Should you watch it this year if you get the chance? My answer would absolutely be yes! 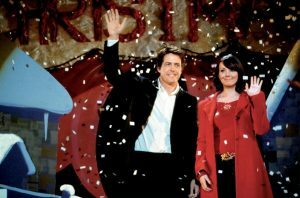 It’s charming, witty, full of love and joy and I think that no matter how many adjectives I use to describe Love Actually, it doesn’t do it any justice. You’ll have to go and watch it yourself, and I hope you find it as satisfying a watch as I did.